Advice, observations, and stories about planting, replanting, and revitalizing churches in a rural context. What a powerful sub-story to the oh-so-familiar “Feeding of the 5,000!” As I sit reflecting on a really good day of ministry at the new church I can’t help but think about the blessings God has given us. But how often have I wasted those very blessings because they came in such quantities that I didn't bother to look beyond the solution that God provided in the moment of need? What we learn about Jesus here in John 6 is that He is interested in both the quick fix and the long haul in the lives of those He interacts with. Of course we could compare this to the OT passage where the children of Israel are given the blessing of manna to eat but required to only pick up what they need for the single day (otherwise it spoiled in grand fashion except for over the Sabbath). So certainly we need to learn to return to God as our source on a daily basis lest we become too dependent on ourselves and forget the source of our hope. But too many times we become drunk on the excess of God’s goodness during a season of blessings and then fail to reflect on this in the hard times. For those in ministry, hard times will certainly come, and if you are perpetually running the tank on spiritual fumes you will have nothing left to carry you across those long stretches of desert between refills. When you are blessed by God, it is His desire that nothing be wasted. Lap it up, and be happy! 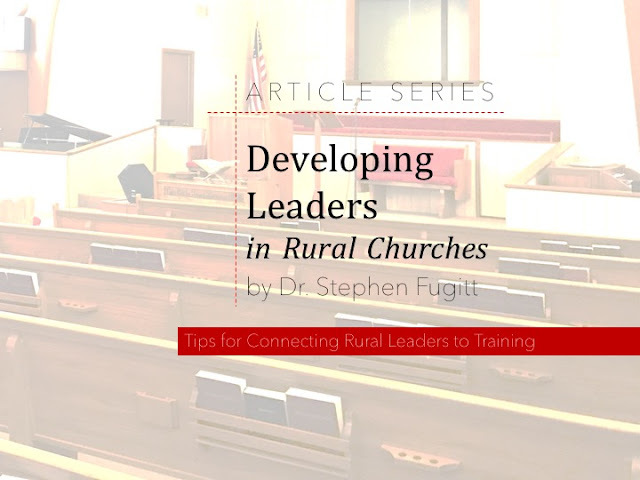 Developing Leaders in the Rural Church: By Choice or Necessity?